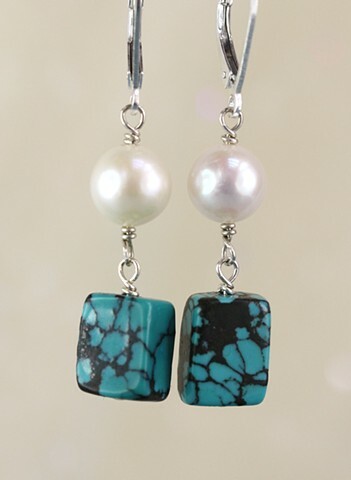 Sweet round fresh water pearls over turquoise rectangles. Sterling lever back ear wires. Approx 1 1/2"